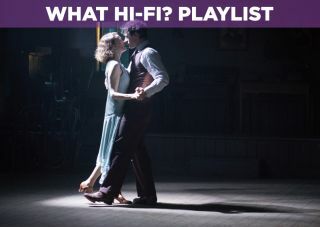 Jimmy's Hall - Blu-ray review | What Hi-Fi? Ken Loach's latest film (and as some have speculated, possibly his last), sees the veteran director delve back into the period of Irish history that brought us The Wind that Shakes the Barley with the story of real-life political activist Jimmy Gralton and his struggles in post-war Ireland. Set in rural 1930s Ireland, it sees Gralton (Barry Ward) return home after a period spent in New York (witnessing the boom and eventual Depression of the 1920s). During the Irish War of Independence, Gralton was seen as a "man of action" picking up a reputation for causing trouble before having to flee the country. The title refers to a social club Gralton helped to set up before the war (the Hall of the film's title), a place where people could teach, dance and discuss politics but was left in disrepair after the war ended. When he's encouraged to rebuild the social club, it brings him back into the gaze of both the Church (represented by Jim Norton's Father Sheridan) and local landowners (Brían F. O'Byrne's O' Keefe), who see him as nothing more than a communist menace and a threat. Like many of Loach's films Jimmy's Hall is heavy stuff, infused with his sense of social justice and exploring the tension between a country that's rebuilding and rediscovering its identity by weeding out the parts it does not like. To the Church, Gralton's progressive and idealistic views are seen as a danger to the town's youth, his open-mindedness clashing with the Church's strict and prejudiced views. While the film packs a punch in some moments, it's perhaps not as polemical as Loach's previous works and the ending – without going into detail – is a melancholic one, the film building a head of steam only to (deliberately) deflate the mood. It's a film about struggle, and with a social-realist director like Loach behind the camera, it doesn't pull its punches but it does lack a little depth when it comes to some of its characters. It's Ward's Gralton that is the main draw here and he displays good range in conveying Gralton's righteousness and convictions. Ward imbues Gralton with a certain amount of guilt and regret at having to leave, his youthfulness – seen in several flashbacks – giving way to flecks of grey daubing his hair adding to the sense of time lost. But time hasn't diminished his sense of optimism, and when Gralton is moved into action he refuses to be cowed by powers in authority, even when heavy handed tactics are used. Seeing a community persevere when threatened is an idea that the film rallies behind and one you can't help but find yourself supporting, too. If you've not heard of Gralton's story, then Jimmy's Hall is a neat primer for learning about him and the struggles of Ireland in a film that doesn't preach or beat you over the head. It's not among the best of Loach's films but a good reminder of why he's lasted for so long. Jimmy's Hall's transfer to home cinema is a decent one, with a presentation that looks like it's very much rooted in the film's theatrical run. The film, recalling the look of The Wind that Shakes the Barley, is filled with brown, teal and black colours, a good test for your TV's ability to pick out detail among the rustic clothes and environments. There's a notcieable amount of grain throughout as well. This is especially noticeable in the night time scenes and while it's not completely distracting, the image isn't quite as clean as we've been accustomed to expect from a HD release. On the audio front, it's a 5.1 DTS-HD Master audio track that's dominated by dialogue. Although we found the dialogue a little unclear in places, we put that down to not quite understanding the flow and accents of some of the actors. Loach employs a natural approach to dialogue, with actors talking over over each other, and in some instances making it slightly difficult to catch a few words here and there. Overall, nothing that's a huge problem from what's a serviceable soundtrack. Jimmy's Hall is a strong, socially-minded effort from Loach that could be a spiritual sequel to The Wind that Shakes the Barley. If it is one of his last films then, like Gralton, it shows he'll go out sticking to his principles.